Usually Squirrel removal is needed when they invade your home. Squirrels are more adorable when you see them go about their daily routines outside. Squirrels are awesome at jumping from tree, with great balancing and climbing skills to do so. 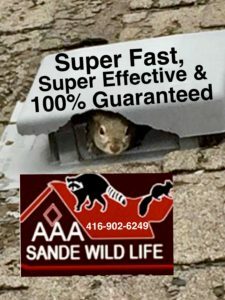 These skills allow Squirrels to gain access to vulnerable access points of your home or business. Squirrels are active and full of energy during the daylight hours, however, they generally sleep throughout the evening hours. 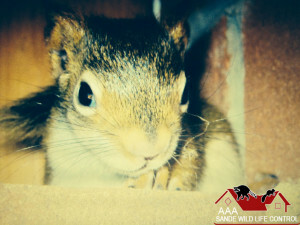 Squirrels are smart and easily find weak points to enter your home for shelter. In fact, they can easily chew through wood soffit or exposed roofline. Open side vents for dryers, an open chimney, roofline and plastic roof vents are the most popular access points. You would be flabbergasted at how fast a spur of a moment happens for a squirrel to enter your home. 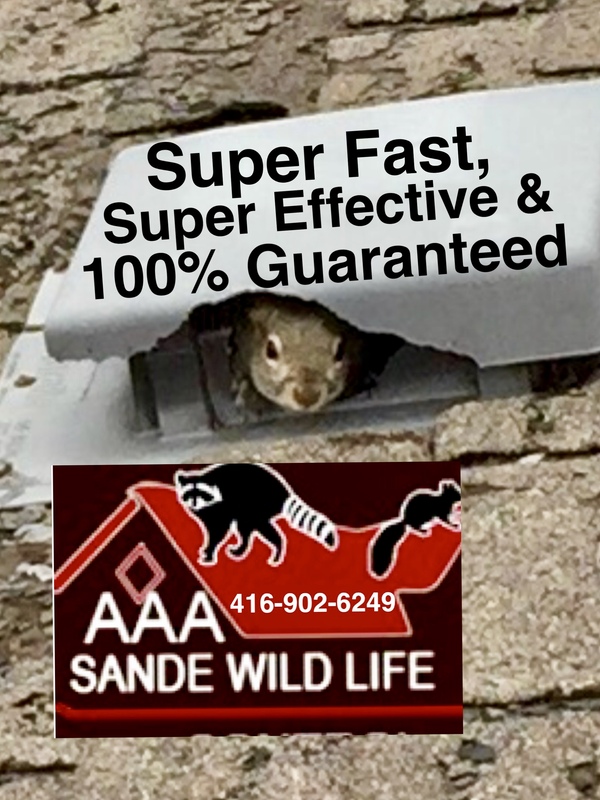 Roof vents and rooflines are the prime access point for Squirrels to gain access into your roof. Another big issue on homes is a home with cedar shingles or Stucco siding. Stucco siding is only styrofoam covered over by a little plaster. The more wood exposed on a home, sends out a open invitation for Squirrels to chew your home. 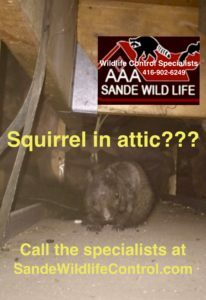 What If A Squirrel Issue Is Not Treated? There do exist people who consider Squirrels as pests and don’t care how they deal with a Squirrel. Even though, unlike Rats, Squirrels do not carry a bag full of diseases, however, Squirrels love to chew on electrical wires inside and outside your home. Damaged cable wires may be annoying but electrical wires damaged leads to electrical fires. Contrary to this, we cannot deny the main fact about Squirrel intrusion is the unpleasant Squirrel noises. 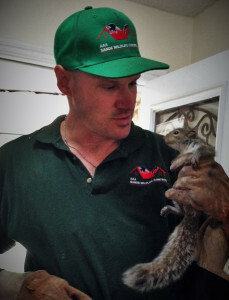 There are very effective Squirrel removal processes to remove them from your home for good. You could consider using Squirrel removal products found in stores, but do not waste your money as none of them work 100% . The best ways to secure your home is to take away the access points. Any exposed wood soffit should be covered with metal soffit(not plastic). Plastic roof vents should be changed to solid metal vents. Any open chimneys should have screen folded over the sides; even if you have a chimney cap. Any side vents for should be covered with quality wire screen. Plumber mats made of rubber should be changed to hard plastic. Wood exposed along the edge of your roof can be covered with wire screen or metal flashing. These are the most popular areas for Squirrel prevention. If the Squirrels have set up a nest in your attic with youngsters, then the operation becomes a bit more perplexed. If only one Squirrel is heard in the attic, you can be sure it is a mother with her offspring. In such a scenario, you need to be extra cautious not to let any Squirrels die inside. A mother Squirrel will cause a lot of damage if locked out from her offspring. Professional Squirrel removal services should be definitely be considered. Going into the attic to remove the young Squirrels is always best. Once the young are removed from the attic a one way door over the entry should be installed. Squirrels give birth to their young twice a year. The two seasons of the year are March to May and July to September. The first part of the season offspring are deep in your attic for warmth. The 2nd part of the season the Squirrels usually are nesting in the soffit. Squirrel babies usually open their eyes around 3 weeks of age. At 6 weeks of age the young are very active playing with each other. At about 9 weeks of age they start to learn how to climb. At 11 to 12 weeks of age they start to venture outside with the mother. 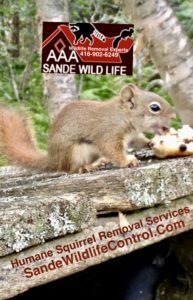 If you wish to have an easy and convenient Squirrel removal process give us a call. A professional will make the job very easy and solve the issue right away. The staff we have trained know the most effective solutions known in the wildlife control field of expertise. Nonetheless, they also make sure that these Squirrels stay out your house. Our three year guarantee is how sure we are about our work. 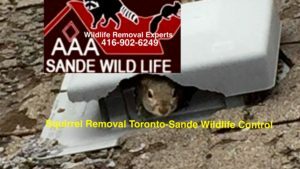 You can check out our reviews on HomeStars or our Google business site to see how good our Squirrel removal services are for the GTA, Peel, York and Durham regions.